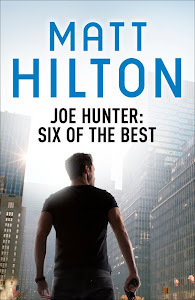 Matt Hilton Thrills: What a Blast! I've had a few adrenalin-charged escapades of late - some good, some bad - but all have helped me as a writer. They say that you should write what you know. Well, I can now speak with experience when it comes to firing live rounds and what it feels to be seconds from death, both of which often feature heavily in my writing. First thing first. Recently I took a trip to Jamaica to celebrate my 25th wedding anniversary (I know I look way too young, but I did marry at the tender age of three years old) and everything was great. Hurricane Irene swept by the island during our stay but left its calling card by way of high winds, pelting rain and a lightning storm to end all storms...just as we were taking off in our airplane. Anyway, we were tearing down the runway when a lightning bolt struck the plane and blew up the left engine. Flames, sparks and smoke gouted across the runway. Doing around eighty miles an hour and losing one engine meant only one thing: the plane swung crazily to the left and was heading off the runway. Then it swung to the right and it felt like we were going to roll over, before the quick thinking pilot hit the brakes to abort take off. We were of course then thrown forward in our seats. Was there a lot of screaming and praying? No. It all happened so quickly that all that went through my mind was "Oh. This is it then?" It was only afterwards when the plane rocked to a standstill and the truth set in that a chorus of surprise set in, followed by shock and the wailing began. The firetrucks turned out to douse the engine and then we were towed back to the gate and all the passengers spilled into the disembarkation lounge. It was only then that I began thinking about how much it would be to charter a boat home. I was determined that I was never going to get back on an airplane in my life, but at the back of my head knew that I just had to. I had to get home, and then had to take another four flights to reach St Louis for Bouchercon World Mystery Convention in a little over a week's time. So, I thought WWJHD? I girded my loins and got back on the replacement plane brought in a day later. By the time I flew to St Louis I'd put the incident down to experience and told myself that things could have been much worse. Apparently another five seconds later and we'd have been at optimum speed for take off (170 mph) and things would have ended up very differently indeed. The new engine that was required for the plane had a price tag of £15 million pounds, plus the bill for putting up more than 300 passengers in a 5* hotel all inclusive amounted to £158,000 - so maybe I had nothing to complain about. I got my second major adrenalin buzz while in St Louis. 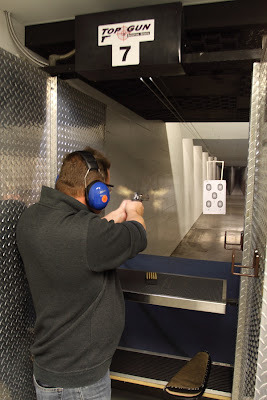 I had the pleasure of accompanying fellow Brit thriller author Zoe Sharp and her husband Andy, and a couple other readers, to the Top Gun shooting range where I had a literal blast shooting some of the guns I feature in the Joe Hunter series. My favourite remains the SIG Sauer P226 but have to admit that shooting a MP5 submachine gun does leave you with a sense of awe. Earlier during the convention I'd had great fun at a shooting range simulator at the hotel where real guns had been attached to gas bottles to simulate 'real fire' sensation, and I really enjoyed that, however when compared to the genuine thing there was something missing. 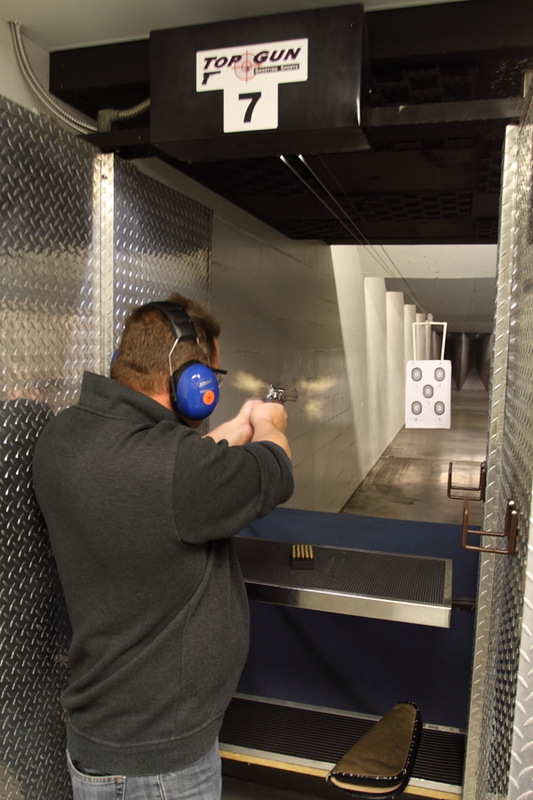 When handling a real gun, with live rounds, there's always that sense of cold fear and absolute respect lurking in your mind. This was brought home to me while shooting the MP5. I was goggled and earphoned-up, and merrily gave rip with burst after burst of ammo at the targets. Then one of the scalding hot spent brass shells dropped inside my right goggle and burned my eyelids, followed seconds later by another that dropped neatly in my left goggle and burned my eyelids on that side too. It served to remind me that BULLETS ARE DANGEROUS. But my little burns also gave me a little ego trip, thinking "Well, that's my warrior stripes earned." It was a superb experience, and one that left me adrenalized but also with a sense of great responsibility. What a blast. A hearty thank you goes to Zoe and Andy for allowing me the opportunity to satisfy my shooting jones. Plus a second hearty thanks go out to all the Bouchercon gang, and in particular Jon Jordan and Ruth Jordan of Crimespree Magazine, Judy Bobalik and Beth and Jeff Tindall. N.B Apparently flying is still the safest form of travel and it was a million to one chance that a similar incident should happen to me, and about ten million to one that it should ever happen again. For one hot shell to go inside my goggles was about a million to one. For a second hot shell to go in the opposite side about two million to one. Then again it's about a million to one that I will win decent money on the National Lottery so I've just gone out and bought a ticket. Glad you ended up safe, and for the most part unscathed. A buddy of mine just joined a gun club and was telling me what an adrenaline rush it is. Glad to hear you have survived both experiences intact! Just be careful of falling space debris. People often look at me funny when i tell them i love shooting. Massive rush though, even taking out targets. I heard/read about both these 'episodes', but reading about the plane lark directly from you, really made me think of you 'n' Den on there. Thank the Lord you survived, and what an experience! (At least I've still got someone to moan to...!). Don't wanna be a party-pooper, but I don't like guns - seen the damage they do. However, I can see how shooting them in a controlled environment will help authenticate your fiction. I just wish fiction is where guns would stay. Good to have you back in one piece. You'll get no argument from me, Col. Guns should be in the realm of fiction only. Like I was trying to point out...they're bloody dangerous even in the confined space of a shooting range. Paul, I'd literally no option but get back on the horse. Won't lie and say I wasn't worried. I was. Still am. Always hated flying and probably always will. Hi Barb. I've been watching that funny glow in the sky all week, wondering when its going to come crashing down on me. I wonder what the odds are in that happening.